Based on the 2007 graphic novel PSICONAUTAS, Birdboy by Pedro Rivero and Alberto Vásquez offers a dark fairytale on love and suffering. With positive reviews after its release, the 13-minute animation has already garnered awards and recognition such as being pre-selected for the 84th Academy Awards. The short film tells the story of transformation of a beautiful island to a graveyard due to an industrial accident. 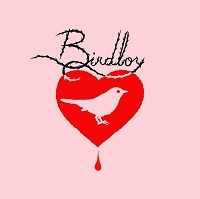 Birdboy, an outcast of society, tries to escape the god-forsaken place with his fantasies of flying with the one he loves. Don’t let its cute animation put you off – Birdboy is that kind of film that uses heavy contrast between the visuals and the narrative. At first it’s deceiving due to the charming characters and bright colors but as the story lays further, the audience finds themselves into one fractured tale exploring subjects such as repression, authoritarian control and addiction. It paints abstract landscapes that mixes the harsh reality with story book graphics. There are a lot of heart breaking scenes, one in particular is when two soldiers are trying to kill Birdboy, taking advantage of his young mind and inability to fly. The character of the solitary Birdboy is strangely loveable. You’ll feel his longing for freedom and how he tries to help his fellow outcasts to escape society’s cruelty. But in the end, he is still misunderstood. Birdboy is a great film that deserves all its recognition. The makers have succeeded in crafting an animated piece that challenges the ability of its own genre to evoke immense emotions and deeper subjects.